MARQUETTE — The trails inside Presque Isle Park have been there for quite a while, but now they have a name: the John B. Anderton Trail System. 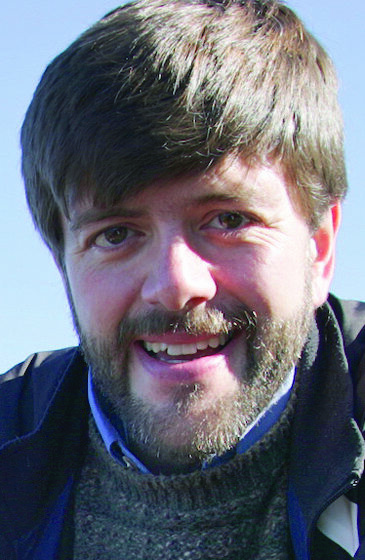 Anderton was a popular geography professor and head of the Department of Earth, Environmental and Geographical Sciences at Northern Michigan University who died in 2014 at age 49. Jon Swenson, assistant director of community services for the city of Marquette, spoke at a Monday dedication ceremony of the Anderton Trail System, which took place along Peter White Drive near Chief Charlie Kawbawgam’s gravesite. 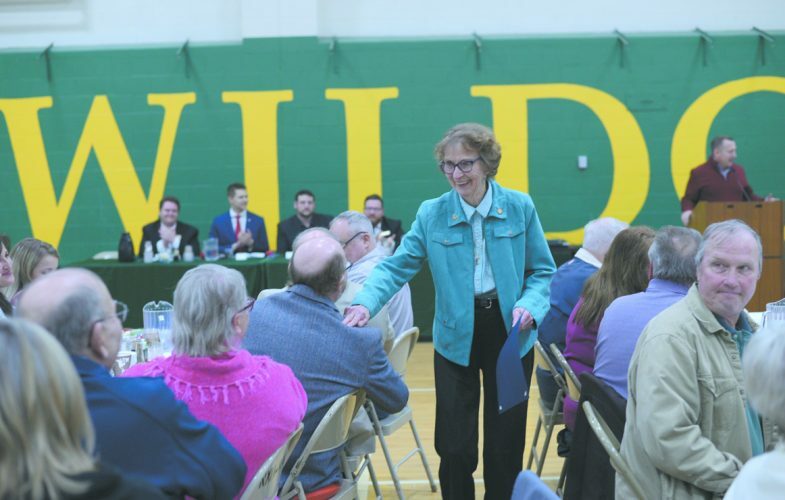 Anderton died while cross-country skiing on the Fit Strip, said Swenson said, who noted that one of the things he loved more than that was Presque Isle Park. In fact, he wrote a book, “The Jewel in the Crown: An Environmental History of Presque Isle Park, Marquette, Michigan,” which detailed various aspects of the popular natural site. 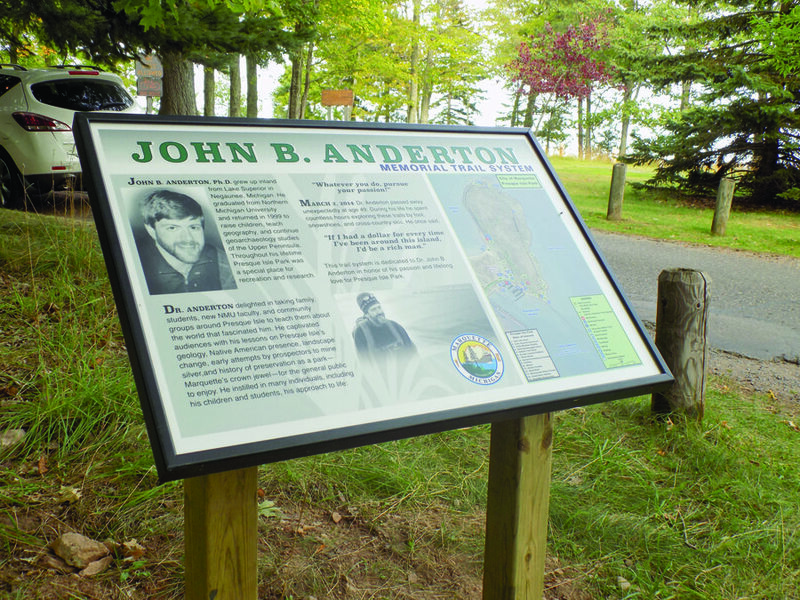 Swenson said city staff, as well as the Presque Isle Advisory Committee and the Parks and Recreation Advisory Board, have worked for several years to create the Anderton Trail System, which now has a new sign commemorating the trails. Marquette Mayor Dave Campana was one of the speakers at the dedication. Another speaker was Martin Reinhardt, NMU Native American Studies professor, who said Anderton understood the relationship history between native and non-native people. “He cared deeply about that,” Reinhardt said. Anderton also was the first to step up and offer to give a Native American youth program, he said. “He got so excited, and he got kids excited,” Reinhardt said. “He got me excited, and, you know, he was just a really lovable guy, and I really do miss him. He’s one of those colleagues you’ll never forget. Reinhardt has at least one particularly special memory of Anderton — one that took place at Presque Isle Park.